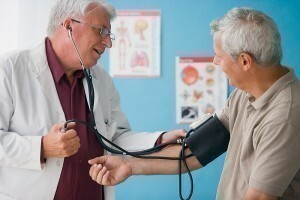 Hypertensive heart disease is a condition that arises because of high blood pressure. It is the most common type of illness and leading cause of death from high blood pressure or hypertension in the United States and other western countries. This disease occurs when the increased pressure of the blood moving through the heart causes it to over-exert itself which eventually leads to thickened heart muscles. 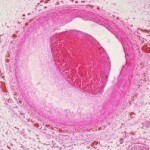 If it is not treated effectively, congestive heart failure and ischaemic heart disease may develop. Oedema or swelling of the feet and ankles that is caused by fluid retention. Extreme tiredness or fatigue which may inhibit regular daily activities. A need to urinate frequently especially at night. Difficulty breathing or shortness of breath that may be worsened after physical activity or when lying flat. It may be observed that two or more pillows are necessary to sleep comfortably at night. Heart Palpitations which may be described as the sudden recognition of the beating heart. The heartbeats will sound like the heart is skipping a beat or more specifically will sound irregular. Angina Pectoris or chest pain that is worsened after exercise, exposure to cold of lying flat on the back. Shortness of breath or difficulty breathing which will usually occur after physical activity. Some individuals may be asymptomatic or in other words will experience no symptoms. Because these symptoms may be similar to other conditions it is important to consult a doctor to determine the true cause of the symptoms described. 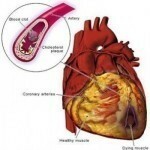 Treatment will typically involve lowering blood pressure and controlling the extent of the disease. The treatment will vary based on the manifestations that are present. Medications may be administered intravenously if the condition is very serious. 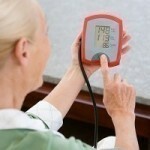 The individual may be required to self check blood pressure regularly to ensure that it is not critically elevated. If high blood pressure and other conditions like diabetes compound the individual’s health then each condition must be treated sufficiently to avoid unnecessary complications. Making alterations in diet to include healthier foods most notably fish, poultry and whole grains. Reduction of the amount of salt used in foods. Increasing the consumption of nutrient rich foods like fresh fruits and vegetables and using low fat milk and dairy products instead. Restricting the amount of alcohol that is drank.